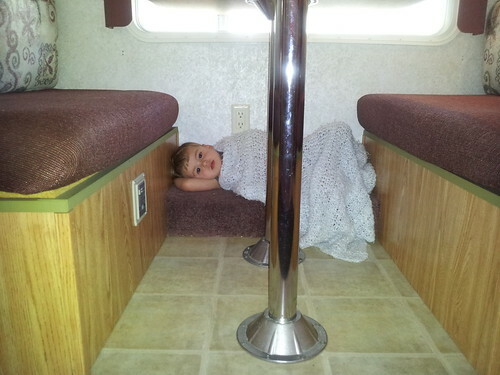 Will and Kate's World: Camping with Grandma! 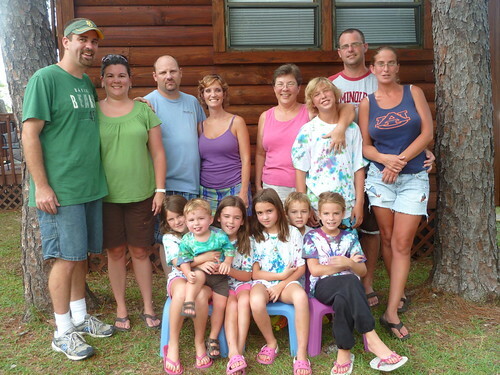 Last week, all of the grandkids (except Luke) went camping with Grandma. Grandma and the kids arrived on Wednesday and had a fun night of playing, swimming, unpacking and getting all set up. Will and I came up on Thursday with the camper to be there just in case Grandma needed mean ole Aunt Kate to show up. 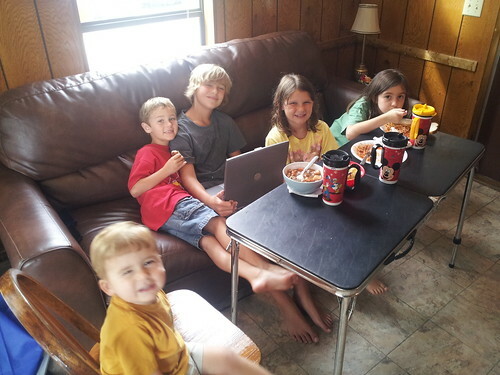 Here they are eating their spaghetti in the cabin. On Saturday, Grandma had planned a family day get together. 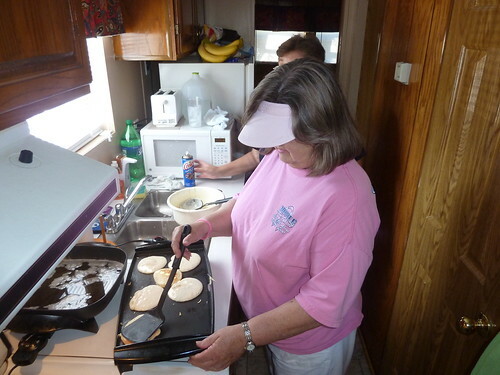 Aunt Judy showed up first and made pancakes for everyone (I think it took three hours with all of the batter that Will mixed up). Then we had a ‘fun’ day of hanging out, eating homemade ice-cream, and swimming [and some of us, whose names shall not be mentioned (Jessica and Mike) took naps ;) ]. 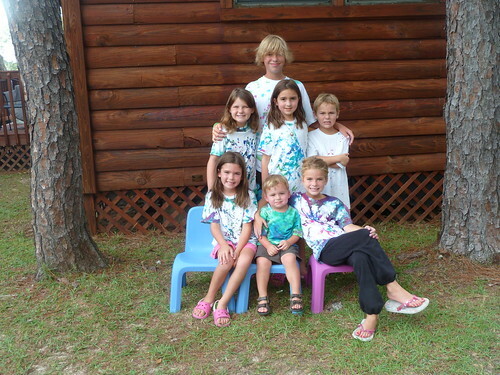 During this time all of the kids made tie-dyed t-shirts and we of course had to pose for a few (or a hundred) pictures. Also during the day Lala took all the girls to get pedicures. I think Grandma was a little embarrassed by how dirty their feet were when the lady lifted up their feet. 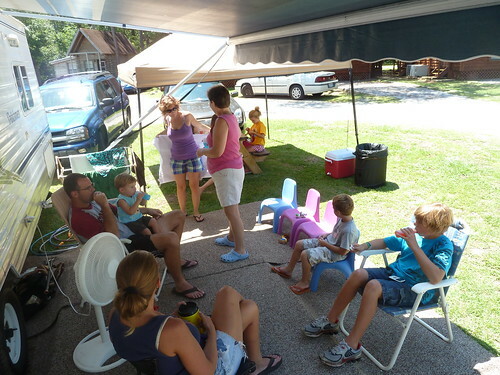 On Sunday, Grandma packed up all of the kids and brought them up to the church for our family day cookout and games. 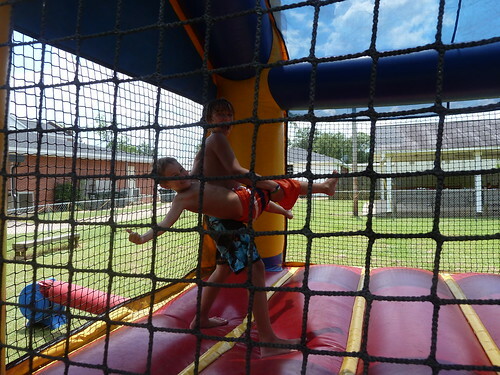 Here they are enjoying the fun-jumper. 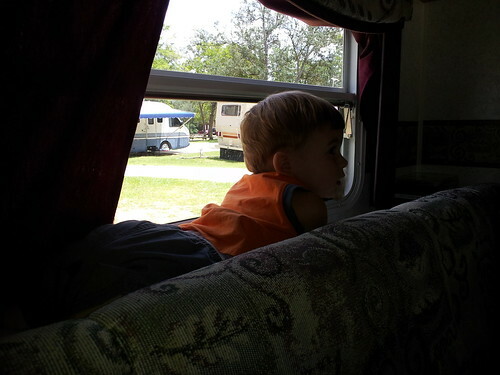 During the time that Grandma and the kids were hanging out, me and Luke were in the air-conditioned camper watching tv, playing, and napping. He found quite a few little hideouts without the girls there to get in his way. His favorite was on the ledge behind the couch. He liked to watch tv up there. He also liked to lay down under the table. 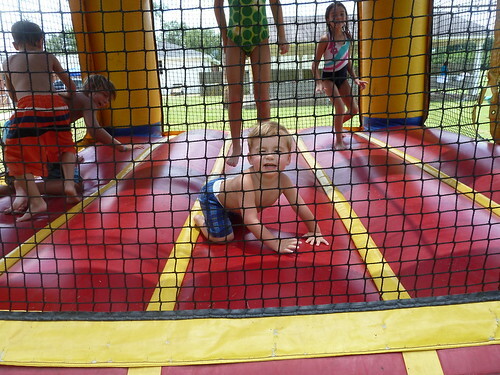 This is what he did when he started to get tired. 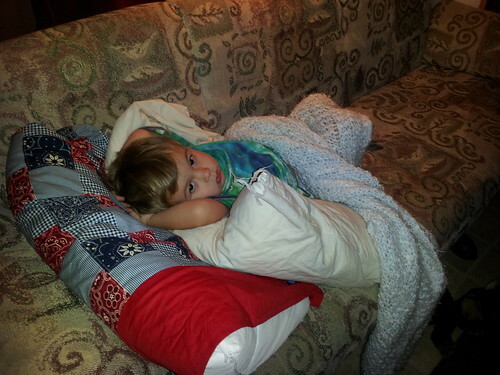 And when he was good and relaxed he was piled up on all of the pillows with his arms behind his head just chillin’. After a few days, all of the cousins were getting on each other’s nerves, but they had a good time nonetheless and can’t wait to go again. I do think though that Grandma has decided to shorten it to a few days instead of a week next time. And we won’t even mention the broken towel rack, generator, awning, camper, truck, and computer that this same week resulted in.